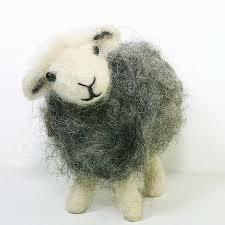 This one is a tad overdue, and inspired by the purchase of the wool shop in Perth by my Niece. These guys are all over the place. Me?...... I refuse to pay $ for a kit that gives you a few grams of material....So I bought a whole fleece,...... for the same price. A very specific fleece, no less. A prize winner I heard. There are a lot of steps between the fleece and the "toy." Today I washed PART of the fleece. As a knitter I like the feel of lanolin from wool but a WHOLE fleece plus the dander and the dirt results in a pretty overwhelming, house permeating odour. In addition to the amount of dirt that went into the water with each new immersion, it became weightless by comparison. Hand washed but spun dry in the machine. Light and FLUFFY....Good name for a sheep?